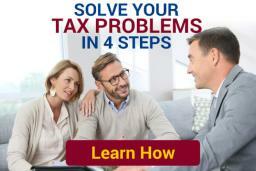 Detroit, MI – Tax resolution scams are becoming a serious problem for consumers in our country. Many national tax resolution companies exact high fees from unassuming consumers, only to leave them further in debt, with no tax resolution whatsoever. Several big tax resolution companies over the years have been shut down for false and deceptive advertising practices, but not before taking millions of dollars from consumers. The Federal Trade Commission reported that American Tax Relief of Beverly Hills cheated their customers out of $60 million worth of unfulfilled tax relief services in 2011, and attorney generals have shut down numerous national companies like Tax Masters, JK Harris, and Roni Deutch; the “Tax Lady”, as well as countless smaller firms in recent years. Sadly, these companies make so much money in the short time they are allowed to operate, every time one gets shut down, two more take its place. Make sure the person who’s asking you to sign up for their services is the same person who’s actually personally going to be representing you before the IRS. If not, chances are you are dealing with a commissioned salesperson. Deal with someone local, whenever possible. If something goes wrong, you know where to find them. Make sure to hire a qualified professional. There are only three types of people that can represent you before the IRS: Enrolled Agents, Certified Public Accountants, and Licensed Attorneys. Ask lots of questions. There are no dumb questions, except the ones that you don’t ask. For press inquiries please contact SherrieHandrinos@gmail.com or call 734-341-6859.